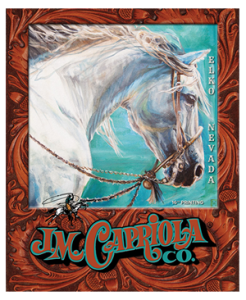 A piece of the vaquero horsemanship puzzle but also an art in and of itself, the use of the two-rein in is the penultimate phase in the creation of the bridle horse. 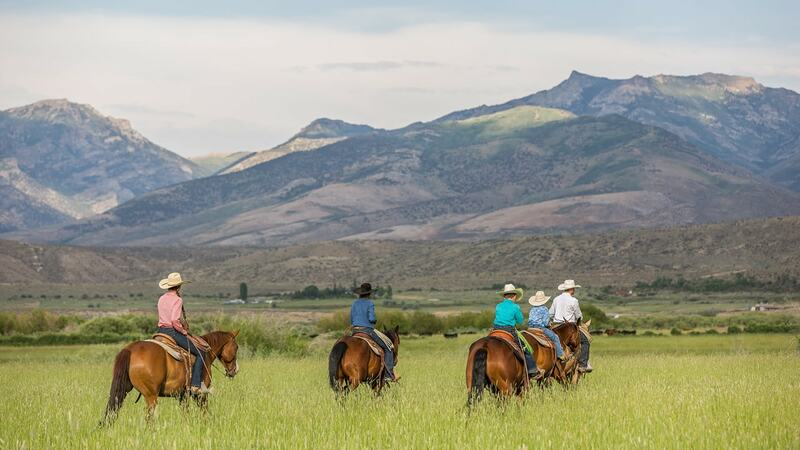 In a loose comparison, this transitional method might be likened to training wheels on a bicycle. 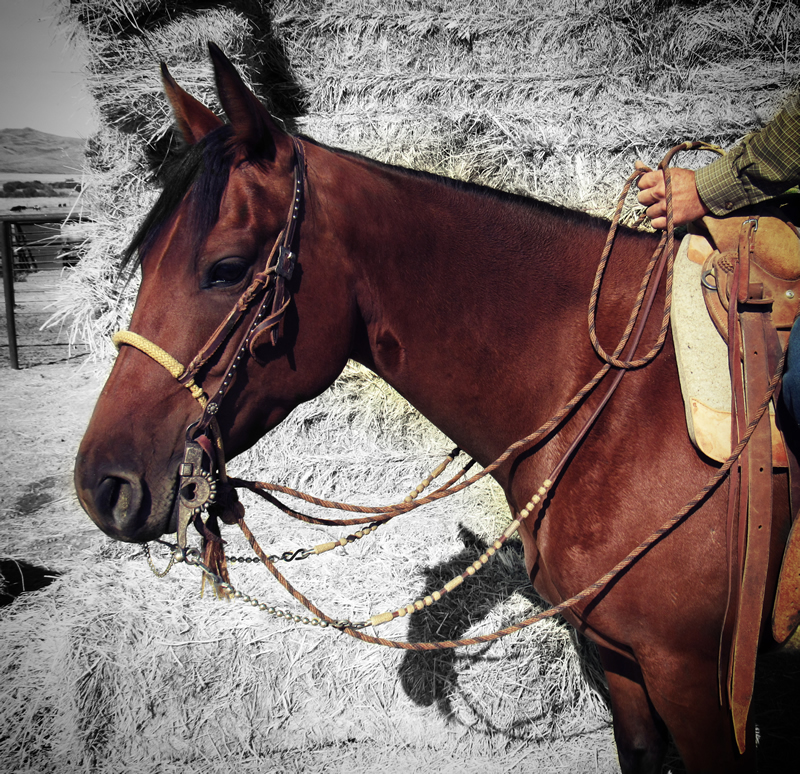 Whether a horse was first started in a snaffle or hackamore doesn’t matter, as long as he has had the foundation of hackamore training that will be the “training wheels” as he works toward being straight up in the bridle. 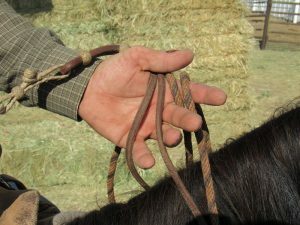 Hackamore training begins with a thicker bosal with mecate reins of corresponding width, and as a young horse learns and becomes more responsive to it, the sizes of the hackamore set-up are gradually decreased. When a horse can be ridden successfully in a bosalita, which literally means “little bosal,” he is ready for the two rein. 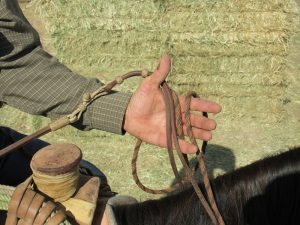 Preferences of bit type vary among horses and horsemen, but a curb bridle of some kind is put on the horse over the bosalita set up. 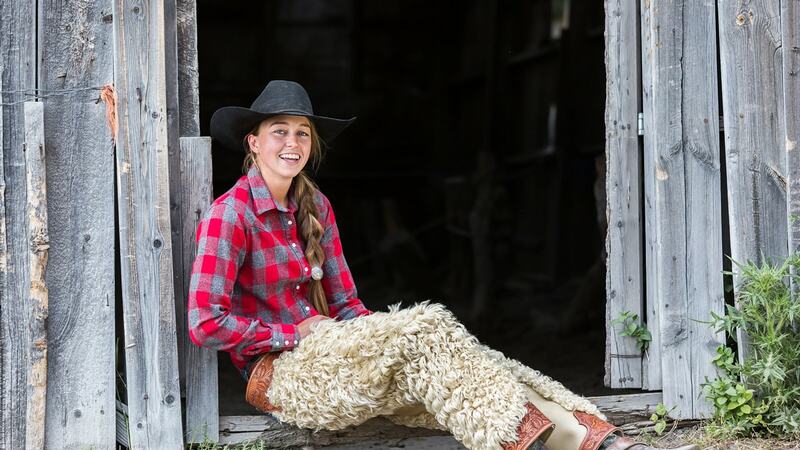 The most traditional is of course the oft misunderstood spade bit. The spade, as well as some other bits, have rollers or crickets that the horse can play with with his tongue. 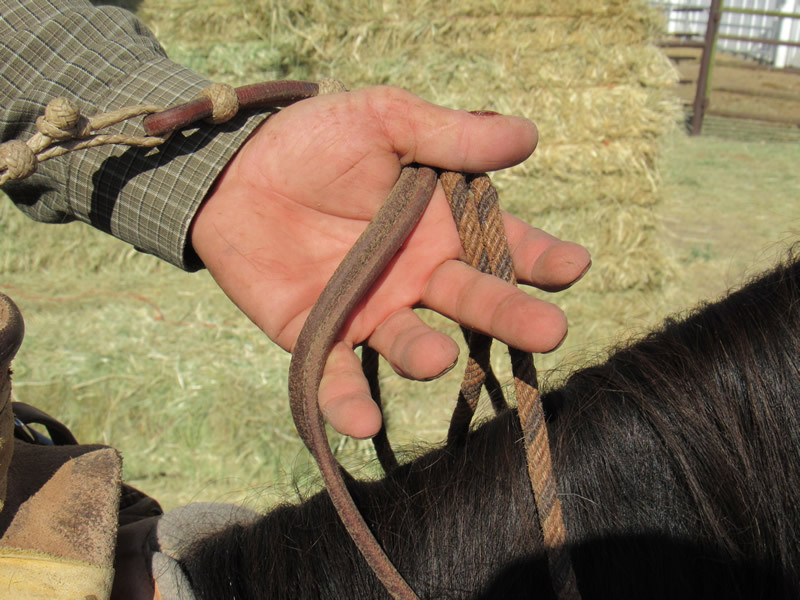 This encourages salivation and relaxation of the jaw, and helps keep a horse aware and interested in his new task. 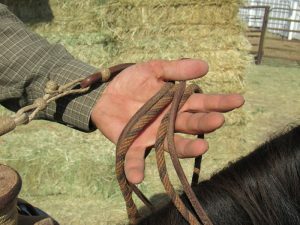 Some horsemen will leave the rein chains and reins completely off of the bit for a while, so the horse can get comfortable and familiar with the bit before any cues are given through it. 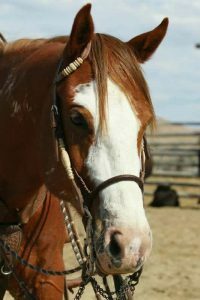 The rider can hold the two sets of reins in several different ways in order to be able to better help the horse understand the new and different cues. At first, the bridle reins will be held with more slack than the mecate reins. As time passes, hand and according rein position will be altered, and more slack will be gradually taken out of the bridle reins in order to transfer more pressure and signals to the bridle, but a simple adjustment can return the familiar cues to the bosalita to reassure and encourage the horse.